A foal goes through a very long process of developing a full mouth of mature teeth. Ensure their teeth are always prestine by contacting Chaparral Veterinary Medical Center for more information. Equine nutrition is important to maintain a happy and healthy horse. 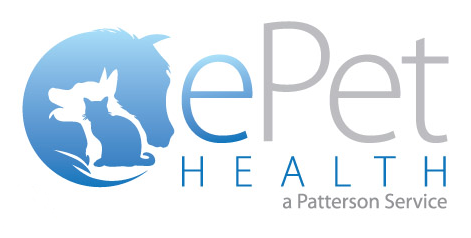 Contact Chaparral Veterinary Medical Center for more information. Learn about vaccination and its importance to the health of your pet. For more information, contact us today at 480-595-8600. Dog toys can help entertain teething puppies and keep them from destructive behaviors. Learn about the top dog toys for teething puppies. Is your cat acting strange or sick? Learn these 8 signs your senior cat might need to go to the emergency animal clinic. Peritonitis can be a lethal condition in horses and requires immediate veterinary attention. Learn the causes, symptoms, and treatments for peritonitis. Choosing a veterinarian for a horse requires careful consideration and research. Learn these tips on how to choose the right equine vet. Kidney disease in horses can cause a lack of appetite, ulcers, and tiredness, making it difficult to differentiate from other conditions. Learn about kidney disease in horses, and how to treat it. Pet microchipping can ensure the safety of your pet in the event he is stolen or runs away. Learn more about the other benefits of pet microchipping. Pelvic fractures are common injuries in horses, often due to trauma or injury from athletic training. Learn more on diagnosing and symptoms of pelvic fractures in horses. It is not uncommon for pets to runaway or get lost. Knowing what to do if your pet gets lost can help you take necessary steps to reunite with your pet. Learn more here. Enteroliths are a colon condition in horses that can cause colic and obstruction. Learn what enteroliths are, how they form, and ways to prevent them. Before purchasing a horse, you should take your lifestyle, free time, and resources into consideration to determine which breed suits you. Learn more on things to consider and how to choose the right horse. Lameness in horses can cause pain and debilitation. Learn the causes of lameness and what horse owners can do to prevent this condition. Strangles is an infection in horses that causes an abscess of the lymphoid tissue of the upper respiratory tract. Learn about strangles in equine, and how to prevent your horse from getting strangles. Pigeon fever, or Corynebacterium pseudotuberculosis infection, is a disease in horses characterized by swelling in the chest area. Learn more about pigeon fever here. Are you a new horse owner? Learn the importance of equine vaccines, and which ones your horse really needs to remain healthy. Is your new kitten destroying your home? Learn these tips for kitten proofing your house to keep your pet and furniture safe! Ruptured bladders, or uroperitoneum, is a condition that occurs in foals, or young horse. Learn more about causes, symptoms, and prevention of uroperitoneum. Hoof care for horses is one of the most important aspects of maintaining a horse's health. Learn more on how keeping horse's hooves healthy. Once or twice a year, de-worming treatments are recommended for horses. Find out more about how to keep your horse happy and healthy here. Rhodococcus equi is a bacterial infection that can cause pneumonia in foals. Learn more about equine pneumonia along with causes, treatments, and symptoms of rhodoccocus equi. Older dogs have different dietary needs than puppies and adult dogs. Learn what to feed older dogs for better geriatric health. Chaparral Veterinary Medical Center offer top tips on how to form a close and healthy bond with your pet. Learn more here. Our Feline Vet in Cave Creek explains the most common reasons why cats vomit, and when you should seek veterinary help. New to being a pet owner? Learn the importance of pet vaccines, and the dangers of not vaccinating your pet. Hernias can be a life threatening condition for your horse. Learn how to spot a hernia in your horse, types of hernias in horses, and how to treat them. Are you a new horse owner? Learn more tips for feeding your horse from the equine vets at Chaparral Veterinary Medical Center in Cave Creek. Your horse's hoof health directly correlates to their overall health. Our equine veterinarians in Cave Creek explain the importance of equine podiatry. Learn more here.